Andy Warhol spent much of his childhood bedridden as a result of the effects of scarlet fever. 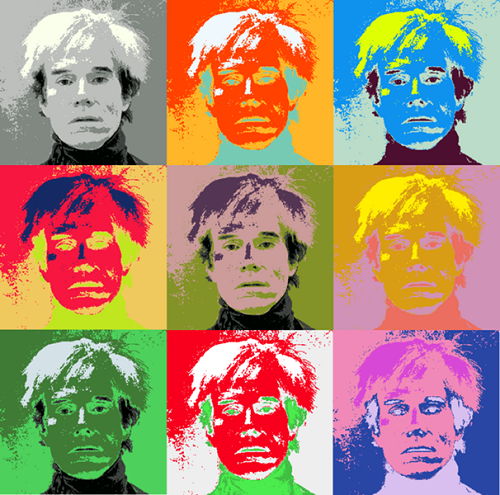 Teased at school because of his blotchy skin, Warhol found sanctuary in the art room. When he was 12 years old Warhol spent several months working on a painting that he was extremely proud of. But just as he was applying the finishing touches, his father died. Then when he came back to school after the funeral, he found that his painting had been taken. From that moment young Warhol chose to be an artist. Within the space of three years, Fauja Singh had lost his wife, a daughter and a son. He was 84 years old and was consoled by other elderly folk who had also lost loved ones. Singh noticed that most of the elderly wounded healers who counseled him, whilst well intentioned, had retreated from life and were merely existing. Singh didn’t want to join this club, so chose to join his local running club to prove that its never too late. At the age of 93, Singh broke the world marathon record for the 90-plus age bracket by 58 minutes, clocking a time of 6 hours and 54 minutes. Last year, aged 101, Singh completed the Hong Kong 10k in just over an hour and a half. Singh has given up competitive running, but still chooses to run for pleasure. visit an island that we’ve all been to, but many of us never leave, called Someday Isle. Whatever you choose. The choice is yours. It always has been. George W. Bush goes into a restaurant and is waiting to be served when an absolutely gorgeous waitress comes up to him and says, "What would you like, sir?" He looks at the menu and whilst handing it back scans her beautiful frame top to bottom, and answers, "A quickie please." The waitress turns and walks away in disgust. After she regains her composure she returns and asks him again, "What would you like, sir?" A little puzzled, again George W. replies, "A quickie." This time her anger gets the better of her, and the waitress slaps him across the face and storms away. A bodyguard leans over and whispers into George W.’s ear, " I think it’s pronounced quiche sir." This entry was posted by admin on November 23, 2014 at 7:08 am, and is filled under Sunil Bali, The Art of Awesome Living, The Book of Awesome Humour. Follow any responses to this post through RSS 2.0. Both comments and pings are currently closed.